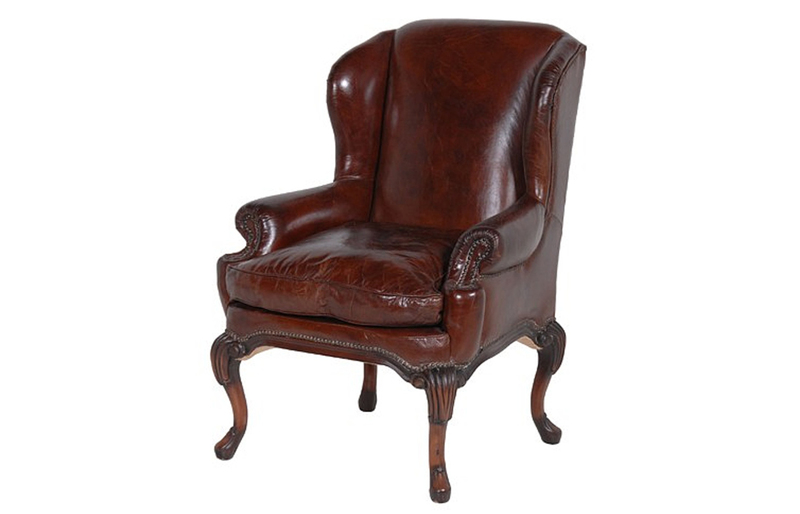 You’ve likely seen plenty of high back wing chair’s on our website, and with very good reason. It’s a staple of the Desig­ner­Sofas4U catalogue and a long standing favourite in Britain’s world famous seating heritage – so where did the high back wing chair come from? The chair started life during the 1600’s, though the wing chair’s popularity didn’t actually take off for over a century later around 1720, where it took off in America and Europe. It was designed as a chair that could protect the occupier from both cold drafts that plagued houses to old benefit from the modern building materials and techniques we’re used to today or from the hot flurries emitted by the roaring fireplaces common in the 1600’s and 1700’s. The high wing back chair, or fire side chair was originally made completely of wood, with a cushion on the seat added for comfort. Throughout the years this design was developed, first with minimal padding and upholstery around the early 19th century, and then with leather and studding becoming almost synonymous with the design until deep buttoned wing chairs upholstered in leather or velvet became hugely popular in the early 20th century. The design we’re familiar with today has been developed over the past few centuries, so today’s wing chairs are likely a far cry from those our ancestors used to block out the drafts. The iconic wing style of the chair’s design was found in many places around England on things like benches and other chairs, though this isn’t where it’s popularity drove the high back wing chair into the seating history books, instead it was colonial America. Since then, throughout the 18th, 19th and 20th centuries French and Scandinavian furniture designers have had their way with the design of the wing chair, developing the style into both classic and contemporary variations of its original form. Today the high back wing chair is making a resurgence hot on the heels of its spiritual brother, the Chesterfield sofa. Many suites offer both a Chesterfield sofa and wing chair upholstered in either leather or fabric alongside a matching high back wing chair and footstool. It’s because both chairs developed together through centuries of rich heritage, and though they both had every different purposes they could often be found in the same home, often even the same room of many homes around England, Europe and North America.